A glance at the list of Malayalam films released during 2012 confuses you. Makes you think seriously about the undesirable trend that is attaining more prominence year by year !! Some of the titles are just repetition of titles of films released earlier. 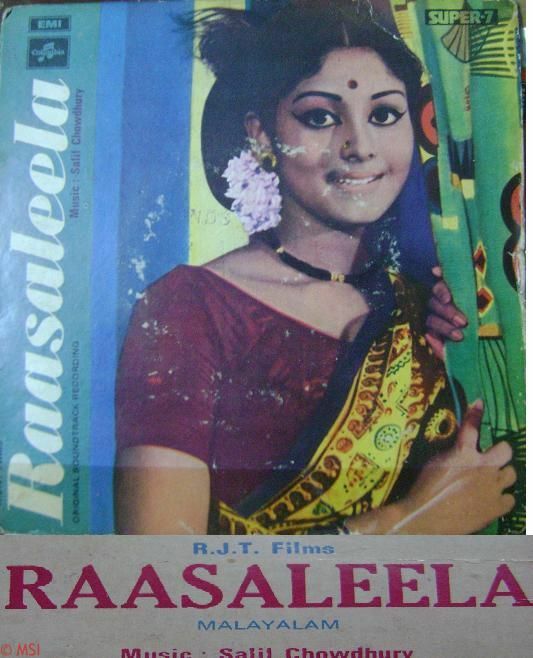 There are exceptions for the copying of titles – three repetitions are remakes of the films of same title – “Nidra” (1981) , “Chattakkari” (1974) and “Rasaleela” (1975). Films with the same titles released in 2012 are remakes of these films, like “Neelathamara” (2009) and “Rathinirvedam” (2011) during the previous years. But some other films with repeated titles are in no way related with the theme or storyline of earlier releases of same title. For example the 2012 releases - “Asuravithu “ , “Padmavyooham”, and “Simhasanam” bear just the titles of the earlier releases with same titles released in 1968, 1973, and 1979 respectively. Thinking that these films also are remakes just like “Nidra” or “Chattakkari”, and you buy tickets for the shows of the 2012 releases, then you are sure to get disappointed because the stories or the genre of these 2012 releases with the titles of earlier releases are entirely different !! You may not find any common factor in these later releases with that of the earlier ones ! “Nakhangal” directed by Suresh Krishnan was released in January, 2013. The film failed to attract the masses. The title of the film was borrowed from the colour film, a classic directed by A Vincent in 1973. That film - an adaptation of Vaikom Chandrasekharan Nair’s novel of the same title - was a musical hit too. A story pivoting round tea estates in Idukki , the film was noted for the stunning performance of K R Vijaya as the stubborn, mysteriously behaved, but golden hearted estate owner. The story of the 2012 release has no resemblance with that of the 1973 release .Except the title, “Nakhangal” (means – generally the human nails) , the audience will not be able to co relate with the story of the 2012 release with the title. The central character of the novel, Saraswathi performed by K R Vijaya in the film version of 1973, was misunderstood and misrepresented throughout the novel, until the climax that reveals the mystery behind her strange character and mannerisms. Her Nakhangal (nails), were symbolically misrepresented as her weapons against the workers of the estate. But the storyline of the 2012 release in no way lead the thoughts to such a meaning to the title. Another film, a Dileep starrer – “Nadodi Mannan” is under production. Unlike the 2012 release “Nakhangal”., we can have a compromise in the repetition of this title. The title of this film owes to the MGR starrer Tamil film of 1958 which remains an all time hit and one of the best films ever made in Tamil. An MGR production, the film tells the story of a tramp who becomes the savior of a kingdom and saves the real heir to the throne from the enemies. From the reports it is understood that the story of the Malayalam film “Nadodi Mannan” starring Dilip is similar . A common man who takes up his living by organizing people for “Jathas” (processions) for the political parties wins the Corporation elections and becomes the Mayor of Trivandrum Corporation. Here the copying of the title is meaningful and justifiable to that extent, though such copying is not desirable. The trend of repetition of film titles in Indian cinema is ages old. In Hindi, repetition of titles in the case of historical, mythological and fantasy films was very common. For example – (years of releases in brackets) – “Anarkali” ( 1935, 1953); Mirza Sahiban “ ( 1933, 1935, 1947, 1957); Mumtaz Mahal” ( 1947, 1957); “Noorjehan” (1931, 1967); “Ram Rajya” ( 1943, 1967); “Ramayan” ( 1933, 1934, 1954, 1960); “Mahasati Ansuya” (1943, 1965); “Mahasati Savithri” ( 1955, 1973); “Raja Harischandra “ ( 1952, 1979) etc etc. Repetition of titles in these genres , to some extent, are justified for the reason that the titles should be indicative of the story line and in historical and mythological films the indicative title is the name of the central character. But in social movies also the repetition of titles is adopted widely. For example, the word Mamata or Mamta in Hindi, means Love and affection, and especially “the Mothers love”. Social films with the title “Mamta” were released in 1936, 1942, 1952, 1966 , 1977 and might be made in later periods also. Some other examples of repetition of titles in social films genre – “Maa” (1936, 1952); “Khaandaan” (1942, 1955, 1965, 1979); “Bhabhi” (1938, 1957); “Beti” ( 1941, 1957. 1969) etc These are few examples, more films with the same title might have been released in later periods also. Producers , directors and script writers have affinity towards some words – like Mamta . There are words like Janani, Mata, etc meaning mother. But the word Mamta is synonymous with Mother, the mothers love and the producers and directors without any hesitation or delicacy, go went repeating the titles. But it can be seen that in such repetitions, the story line of the film match with the title. In Tamil also, the story of repetition of the titles is not different. Here are some of the mythological and historical film titles repeated – with the same story , of course – “Ambikapathy” ( 1937, 1957 ); “Pattinathar” ( 1935, 1962); “Nandanar” (1935, 1942); “Manimekhalai” ( 1940, 1959); “Sree Valli” ( 1945, 1961) etc etc. As aforesaid in the case of Hindi films, the titles are indicative of the storyline, and any other alternate title even if could be found, will not be clear indicative of the story. For example, in the case of “Sree Valli”, one could suggest the title “Sree Murugan” or “Murugan Tiruvilayadal”. But the story of the films here referred is that of the wedding of Lord Muruga with Sree Valli and for that indication the title “Sree Valli” is the apt one. In the case of social movies. Tamil cinema also adopted the trend of simply repeating the titles without any valid reason. The repeated titles are , in most of the cases, in no way related to the original title or indicative of the story of the later repeated version. For example “Puthiya Paathai” (1989, 1999); “Sadhu Mirandal” ( 1966, 2008); “Sangamam” ( 1999, 1870); “Naan Avanillai” ( 1974. 2007); “Padikkathavan” ( 1985, 2009); “Billa” (1980, 2007); “Pollathavan” ( 1980, 2007) etc etc. Most of the repeated titles here also are neither with similar story of the earlier releases nor indicative of the story of repeated versions with same titles. And one could suggest a better title to the repeated title. For example, the film “Sadhu Mirandal” (2008), release is loosely based on the Malayalam block buster movie “Mannar Mathai Speaking”. The producers of the Tamil remake could have given some synonymous and hilarious title for the suspense packed comedy rather than the repeated serious meaning title “Sadhu Mirandal” The 1966 film title was indicative of the story, a timid and poor man taking revenge on his enemies. The titles are repeated simply for the attraction of the words and without any logic. The block buster MGR film titles “Nadodi Mannan” (1958) and “Aayirathil Oruvan” (1965) are also repeated in Tamil recently without any co relation to the earlier releases. In Malayalam, probably the film “Sthree” (1970) was the first that came with a repeated title. Malayalam film of the same title was released in 1950 which was screen adaptation of Thikkurissi Sukumaran Nair’s stage play of the same title. “Amma” was another repeated title in the early period – the 1976 version repeated the title of the 1952 release. In Malayalam, mythological and historical movies were less when compared with Hindi and other South Indian languages. Hence the occasion of repetitions of titles in these genres did not come. 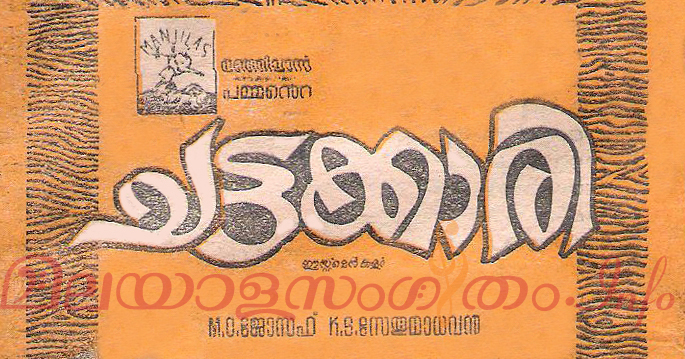 The trend of repetition of titles in the social genre movies in Malayalam became a common trend in 1990s. Titles like “Bharya”, (1962, 1994); “Sammanam” ( 1975, 1997); “Thuruppugulan” (1977, 2006) are a few other examples of repetition of titles . Our mother tongue Malayalam and its literature is rich enough to give you any number of suitable titles for the films that you produce, even then why you producers, directors and script writers go for English titles ? And in the case of most of the films, as aforesaid the titles will have no relation at all with the storyline of these films. In this age of a majority of the younger generation keeping a bit away from Malayalam, and speaking a mixture of English and Malayalam (sarcastically and hilariously called “Manglish) , is it desirable that you give the films titles in English ? Think of the old film titles, that gave the audience an idea about the story of the film – “Ningalenne Communistaacki”, “Kandam Becha Coatu”, “Ninamaninja Kaalpadukal”, “Mudiyanaya Puthran”, “Murappennu”, “Mindaappennu”, etc etc. And the producers, directors. Script writers were so keen on the matter that while literary works are filmed, they even changed the title of the stories for the film to make the title more clear on the subject. For example, “Murappennu” was based on M T Vasudevan Nair’s story “Snehathinte Mukhangal”. The film was titled “Murappennu”. Because the story pivots around the tradition according to which a girl (Murappennu) is wooed to her Muracherukkan( uncle’s son). Here the title Murappennu was more clear in indicating the story line of the film than the title of the story “Snehathinte Mukhangal”. I request the Producers, Directors and script writers of Malayalam Cinema to keep away from this trend of repetition of titles as well as titling the films in English. A technical difficulty albeit minir, that may arise in this age of computers and DTP also is there in repetition of the titles. While searching for a film or a song, you have to mention the year of release of the film to get the right result for your search. When the repetition of the same title increase, the difficulty in searching also becomes hazardous. And the title of the Malayalam film invariably should be in Malayalam. There may be exceptional cases where the better and more suitable choice will be English or any language other than Malayalam. Would you please consider giving preference to our mother tongue while titling the Malayalam movies ! !